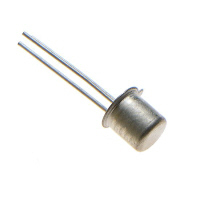 A transistor is a semiconductor device used to amplify and switch electronic signals and electrical power. 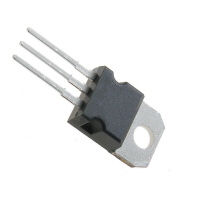 It is composed of semiconductor material with at least three terminals for connection to an external circuit. A voltage or current applied to one pair of the transistor's terminals changes the current through another pair of terminals. Because the controlled (output) power can be higher than the controlling (input) power, a transistor can amplify a signal. Today, some transistors are packaged individually, but many more are found embedded in integrated circuits. 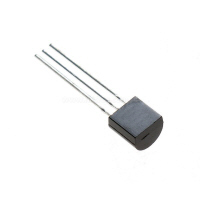 The transistor is the fundamental building block of modern electronic devices, and is ubiquitous in modern electronic systems. Following its development in 1947 by John Bardeen, Walter Brattain, and William Shockley, the transistor revolutionized the field of electronics, and paved the way for smaller and cheaper radios, calculators, and computers, among other things. The transistor is on the list of IEEE milestones in electronics, and the inventors were jointly awarded the 1956 Nobel Prize in Physics for their achievement.